Most breakfasts are centered around pork in one way or another, with ham, bacon and sausage all having their adherents as the preferred breakfast meat. 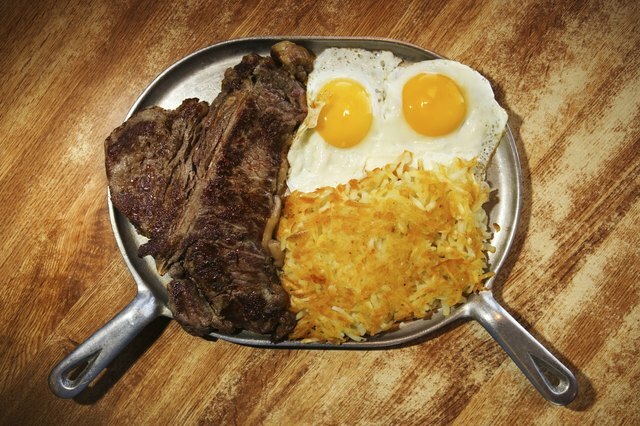 A combination of steak and eggs puts beef at the center of the meal. 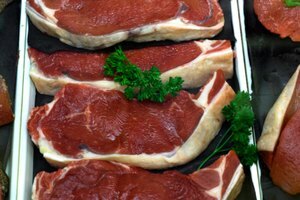 Breakfast steaks are usually from less-tender cuts such as the eye of round, cut thinly and then mechanically tenderized. They are best and tenderest when cooked quickly. Preheat a heavy skillet over medium-high heat until the air over it shimmers and is uncomfortably hot for your bare hand. 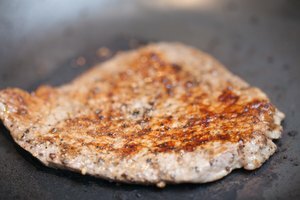 Pat dry the surface of your breakfast steak with a paper towel. Moisture will prevent the steak from browning properly. Carefully place the steak in the hot pan. It should sizzle loudly. If it doesn't, the pan is not hot enough, so remove the steak and wait a bit longer. Sear the steak on its first side for one to two minutes, depending on thickness, until cooking juices begin to seep through the pores on the upper side. 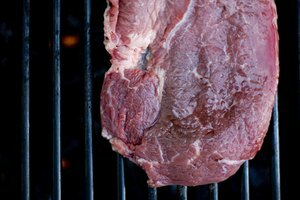 Turn the steak and finish it by cooking to the desired doneness, usually one to two minutes. Season the steak with salt and pepper when it's turned. Serve hot, with a pat of butter if desired and a choice of steak sauce, Tabasco or Worcestershire sauce. To make the classic steak and eggs breakfast, allow the skillet to cool for a minute or so. Turn down the burner to medium. Crack two eggs into the cooking juices from the steak, and return the skillet to the burner. Cook the eggs to your preference, and serve on or alongside the steak. 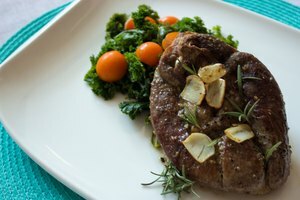 Breakfast steaks are thin and cook quickly, so watch closely. They are tenderest if rare or medium-rare, chewiest when well done. 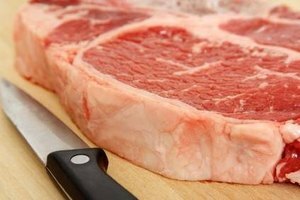 The USDA says steaks should be cooked to an internal temperature of 145 degrees Fahrenheit as measured with a meat thermometer.